Today in the evening we are celebrating the Superannuation retirement of Sri. 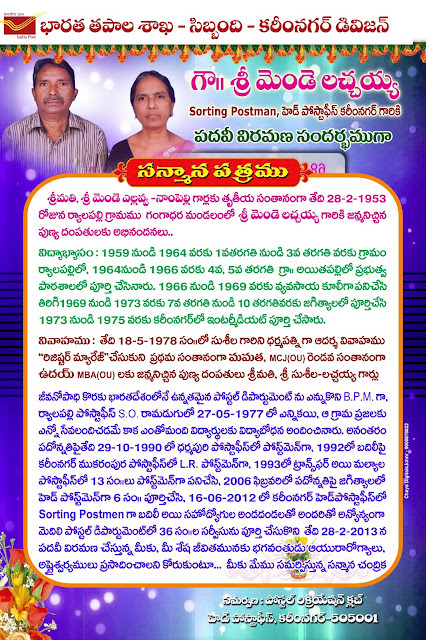 Mende Lachaiah, Sorting Postman, Karimnagar Ho in the premises of Karimnagar Ho at 06.00 PM. Kindly Join in this occassion and give your blessings for his bright future and make it grand success.